Summer strawberries?, a photo by LittleBlackDuck on Flickr. First official day of summer! No pressure Mother Nature, but can you make it a good one (particularly this weekend as we have a wedding to go to)? 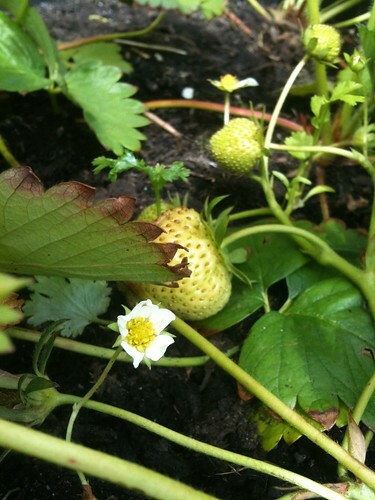 We are growing these strawberry plants and I am hoping that they will make it to maturity. Sadly every time Charlotte remembers them she picks one…..even if they have only a tiny bit of red on them!